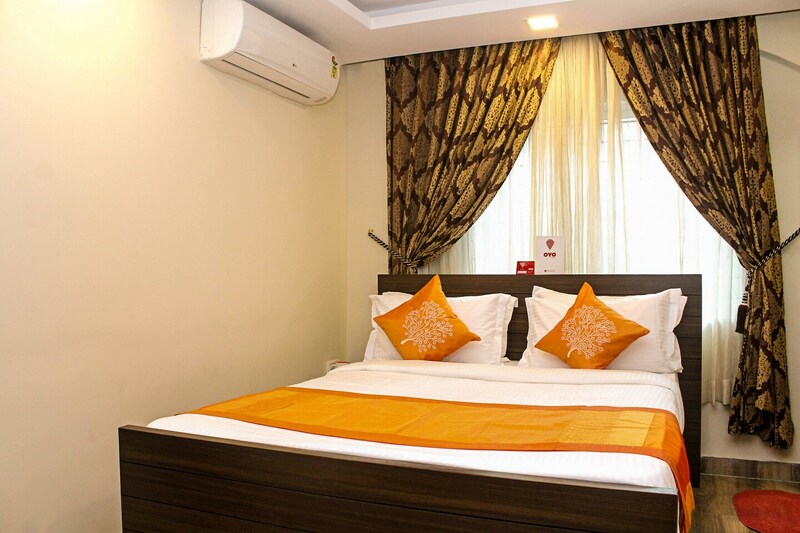 Maple Inn, situated in Kempapura, is a good choice for travellers who look for comfortable and appealing rooms. The rooms are compact and modest. It has minimal furniture so that the guests have enough space in the room. It has a wooden desk, chair and a side table. The headboard is made of wood and makes the room look more elegant. The curtains also add to the charm of the room. The hotel also has an in-house restaurant where you can get delicious food. Along with that, it has laundry services, elevator, dining area and parking space.